To vacate sleeve in the armhole is not so simple as it seems at first glance. This operation requires knowledge, attention and precision, because incorrectly tailored or sloppy attached sleeve can ruin the appearance of the product as a whole. In addition, if the sleeveom something is wrong, the product is simply uncomfortable to wear. Therefore, the sooner you will work on the bugs, the better. 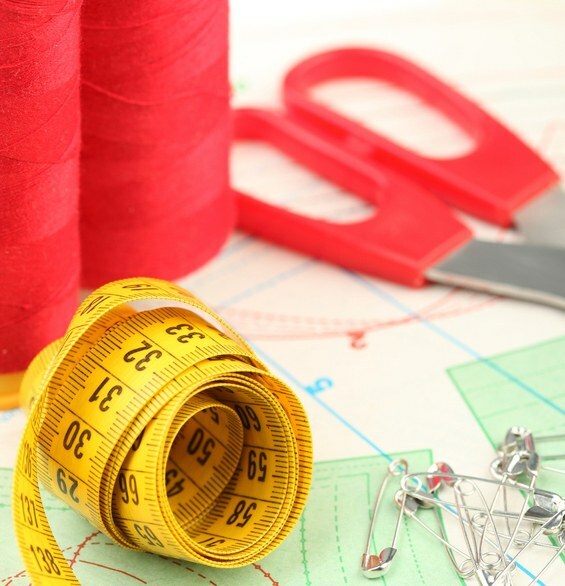 Sewing supplies: scissors, thread, needles, pins, dummy (preferably). If at the line of front roll sleeveand are formed by inclined creases - sleeve is rotated in the direction of the front. To fix the sleeve with such a defect, you have to turn it to the side of the back. Conversely, if such creases are observed on the line of the elbow roll, the sleeve turning in the direction of the front. The overlap in the form of transverse creases at the upper top part of the sleeveand means the crown high relative to the depth of the openings, and it must be cut to the desired value. If the sleeve pulls from the top of the crown, in front and rear of the sleeveand formed the creases. The reason for this defect is that the height of crown less than you need and doesn't match the armhole. To fix the sleeve can, if you redraw it by increasing the height of the crown to the desired value. Small creases on top part of the sleeveand in the upper part, suggests that the upper part of the crown sleeveand wider than necessary. In this case, to remove the defect can be sausep the upper part of the crown. Its height remains the same. If when fitting the front seam of the sleeveand the wrench forward towards the top, the top edge of the lower elbow part of the sleeveand is located below the top elbow section of the upper part of the sleeve. Here you need the bottom part to move up at the elbow cut. If the front seam of the wrench toward the bottom part, this stems from the fact that the apex of the ulnar edge of the lower part is above the top of the elbow section of the upper part of the sleeve. To correct the defect by moving them down the ulnar edge of the lower part of the sleeve. To identify and correct errors in a timely manner and then the product will be made quickly and accurately.